Supplies of cobalt and lithium, key for making the batteries that power electric cars and mobile phones, are likely to be limited by 2050, German researchers have warned. According to the Karlsruhe Institute of Technology (KIT) study, published this week in the journal Nature Reviews Materials, a shortage and price increase of cobalt are likely to occur in about thirty years, especially since demand for the metal is expected to be twice as high as today’s identified global reserves. The authors are not so pessimist when it comes to lithium, as there are several companies rushing to explore and produce the so-called white petroleum. They do warn production will have to be strongly boosted — more than ten times, they predict — to match future demand. However, the scientists claim that since both elements are geographically present in regions believed to be politically unstable, strong concerns about a possible shortage and associated price increase of both remain. New study suggests cobalt-free battery technologies — including post-lithium technologies based on non-critical elements — are the best way to avoid supply issues in the long term. Not everyone agrees with that premise. At the end of February, Morgan Stanley sent shares of lithium producers and explorers tumbling after it forecast a huge surplus in the market for the battery raw material in 2022, resulting in expected prices nearly halving from today’s levels. The gloomy assessment raised eyebrows in the industry with executives criticizing the investment bank for vastly underestimating the rise in demand, production ramp-up problems and bottlenecks with processing of battery-grade lithium compounds. And this week, commodities research house Wood Mackenzie released a report on battery materials that forecasts a decline in the price of cobalt and lithium this year, which would turn into a rout from 2019 onwards. 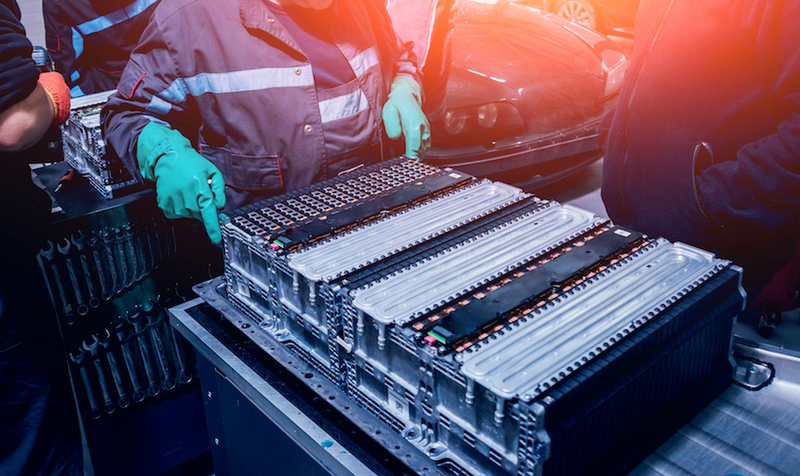 The German team, however, insists on a deficit, based on their scenario-based analysis, and suggests that cobalt-free battery technologies — including post-lithium technologies based on non-critical elements such as sodium, magnesium, zinc, calcium and aluminum — are the best way to avoid supply issues in the long term. “It is therefore indispensable to expand the research activities towards alternative battery technologies in order to decrease these risks and reduce the pressure on cobalt and lithium reserves”, Daniel Buchholz, one of the experts who supervised the study, said in a statement. Several companies are already working on finding alternatives to cobalt and lithium. Toyota Motor Corp, Asia’s No.1 carmaker, said last month it had found a way to make electric vehicles (EVs) more affordable and less vulnerable to shortages in supply of the key elements needed. The announcement came just a week after Samsung SDI, South Korea’s leading battery maker, unveiled plans to recycle cobalt from used mobile phones and develop lithium-ion batteries with minimum content of the metal, or no cobalt at all, as a way to offset soaring prices for the silver-grey commodity.